Advanced Carpet Cleaning in Jefferson is Northeast Georgia's preffered IICRC certified carpet cleaning service and can service all of your carpet cleaning needs. Using state-of-the-art truckmounted green steam-cleaning equipment and carpet manufacture's recommendations we remove dirt, stains, odor and harmful bacteria from your carpet. 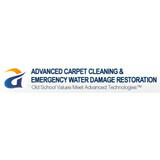 We also offer 24 hour emergency water removal. C&C Janitorial Services offers commercial and residential carpet cleaning services, tile and grout cleaning, upholstery and furniture cleaning, and water extraction services in Athens GA, Winterville GA, and the surrounding areas. We can turn what now has come to look ordinary back into extraordinary! 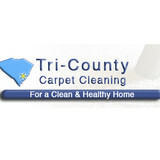 We can come out and clean your business’s carpet or tile floors. We can clean office furniture or partitions that get dirty from everyday wear and tear. We have commercial grade cleaning techniques that will keep your office looking sharp and professional. Whether you need a one time deep carpet cleaning or a regular maintenance plan, we can create a plan to meet your needs and your budget. For our residential carpet cleaning customers, our superior service will make a difference in the way your home looks and the quality of air that you breathe. It will also improve your home’s value. Let the professionals do the work so that you can spend your time enjoying your home and your family. Heaven's Best Carpet Cleaning is a family owned and operated company that specializes in quality carpet and upholstery cleaning services to both commercial and residential customers. 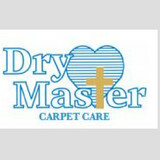 Heaven's Best Carpet Cleaning services all locations within Georgia's, Clarke, Oconee, Greene, Morgan, Madison and Oglethorpe Counties. We work in close relationship with our neighboring Heaven's Best Carpet Cleaning Operators so that we can meet the needs of everyone located in our area. Owners Dirk and Melanie Visser take pride in offering quality service and value to both their residential and commercial customers. Together over the last 11 years, they have built a reputable business based on service and customer satisfaction. That's why 95% of their customers have referred a friend or family member and commercial clients continue to renew their service needs with Heaven's Best Carpet Cleaning over and over again. The Lewis Company Floors is a high-caliber Athens, GA, flooring contractor that does exceptional work. A member of our staff will meet with you for a free in-home estimate, and we aim to give you an excellent value for your money. The flooring materials we provide are of premium quality, and we offer a number of attractive options, including hardwood flooring, tile flooring, laminate flooring, and carpets. 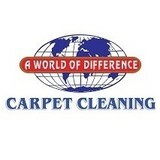 What should I look for in a local Pendleton carpet cleaner? Not all Pendleton carpet cleaning companies use the same methods, but there are a few common things that they should do to for a quality job. Make sure they do an analysis on the area you need cleaned and recommend the best course of action — are there large stains or high-traffic areas that need extra treatment or attention? Also, make sure they provide quick drying times so that you can be back in your home faster; that means hours, not days! A good carpet cleaning service in Pendleton, SC should move furniture (within reason) and put it back in place when they are all done; don't let them charge extra to do this. Another important factor to look out for is whether or not the carpet cleaners use chemicals, and if so, they should be asthma- and allergy-friendly. This is especially important for households that have children or pets. Lots of Pendleton carpet cleaning services also clean rugs. Rug cleaning can involve anything from a simple wash to complete re-weaving or foundation work. Make sure the local rug cleaner you choose has experience with the types of rugs you need serviced, especially if they are hand-woven or Oriental rugs. What should I look for in a local Pendleton upholstery cleaner? 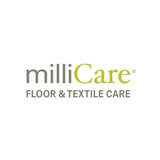 Upholstery comes in many more varieties than carpet and rugs, thus needs cleaning tailored to each specific blend. Even if you don’t know what material your sofa or chair is made with, a good upholstery cleaning service in Pendleton, SC will be able to identify it and treat it appropriately. Some textiles require dry cleaning and that can’t be done in home, so if that’s the case, check with the upholstery cleaner and see if they offer pickup and drop off services. Leather cleaning is a bit different and often involves more restoration and conditioning than actual cleaning. Make sure the Pendleton furniture cleaning service specializes in leather if you are considering them for the job. Find Pendleton upholstery and carpet cleaning services on Houzz. Narrow your search in the Professionals section of the website to local carpet cleaners in Pendleton, SC and read reviews and ratings to find one that fits your needs.